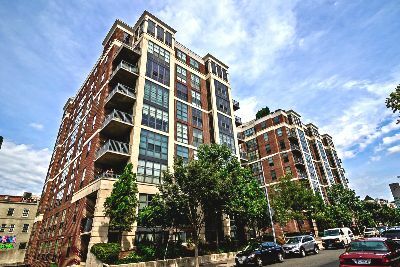 ]The 2020 Lofts are a modern condominium development in Washington, DC’s bustling U Street Corridor. Completed in 2005, the nine-story building presents an exciting blend of traditional and contemporary design, with walls of multi-paned windows, a brick facade and unusually large corner balconies. 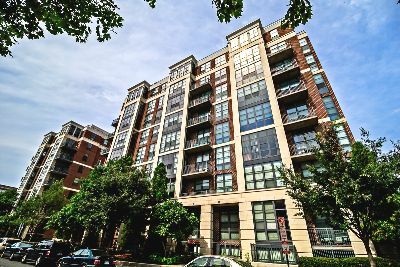 There are 146 loft-style city homes here, in a prime location—just a block from the U Street Metro Station. Sitting at 2020 12th Street NW, this complex is between U and V Streets in the District’s 20009 zip code. The Columbia Heights neighborhood is immediately north, while Logan Circle is just to the south. The 2020 Lofts offer a variety of floor plans, with one and two bedrooms units ranging from 650 to 1110 square feet, and two-story penthouse measuring around 1800 square feet. All units offer open designs, nine-foot ceilings, hardwood floors, exposed ductwork and sliding barn doors between rooms. Balconies are standard in varying designs, while penthouse models also feature large private terraces. Many of the units also have fireplaces. The modern kitchens have windows, granite counters, custom cabinets and GE Profile stainless steel appliances. Residents at 2020 also enjoy a staffed front desk, a state of the art gym, a business center and a huge rooftop deck with commanding city views. Parking conveys for select units. And then there’s the location—just a short stroll from the awesome Meridian Hill Park, and surrounded by exciting nightlife along the corridor itself, as well as running north and south along 14th Street. Start your morning at the U Street Café, Busboys & Poets or the Wydown Coffee Bar. And if you really can’t exist without the ubiquitous Starbucks, there’s one just steps away. Fans of DC’s famous Ben’s Chili Bowl will find themselves just a half-block away. And when night falls on the city, you can go prowling to bars and restaurants like DukeM, Saloon, Lounge of Three, the Gibson, Ulah Bistro, Eatonville and more.